Beman Gates Dawes, and his wife Bertie, founded The Dawes Arboretum in 1929 to demonstrate the value of trees and shrubs. Today, The Dawes Arboretum encompasses nearly 1,650 acres of plant collections and natural areas that offer unique educational experiences in any season. The Dawes Arboretum features plants tolerant of central Ohio's climate. Azaleas, crab apples, hollies, oaks and conifers are a few of the collections accessible from the 4.5 mile Auto Tour and more than 8 miles of hiking trails. The Dawes Arboretum is a not-for-profit private operating foundation engaged in scientific education in horticulture, natural history and Arboretum history. No funds are received from local, state or federal tax revenues. Local Address: 7770 Jacksontown Rd. Special Collections:Nationally Accredited collections of Acer (460 taxa), Aesculus (79 taxa), Metasequoia (31 taxa), Hamamelelis (119 taxa). Additional significant collections of Betulaceae, Cupressaceae, Ericaceae, Fagaceae, Juglandaceae, Fabaceae, Pinaceae, Betula (29 taxa), Cornus (133 taxa), Ilex (392 taxa), Magnolia (117 taxa), Quercus (122 taxa), Rhododendron (384 taxa), Viburnum (114 taxa). Since establishment in 1929, The Dawes Arboretum has demonstrated a commitment to conservation through plant evaluations, applied research and active ecosystem restoration. 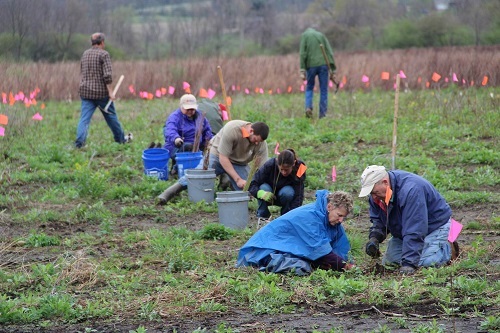 Efforts have helped enhance native plant biodiversity, conserve local genotypes and restore native plant communities in Ohio. By showcasing native plantings that demonstrate value to both people and wildlife, the Arboretum serves to educate and inspire the public to practice conservation at home. The Arboretum’s nearly 2,000 acre property is a mosaic of forests, wetlands, prairie grasslands, agricultural fields and riparian corridors woven among scientific collections and formal gardens. Within this setting is a unique 70 acre restored wetland and prairie complex known today as The Dutch Fork Wetlands. 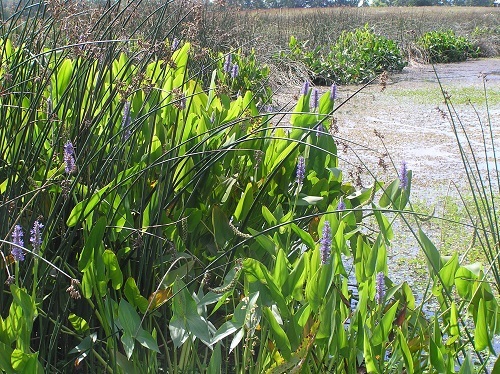 This habitat restoration recently achieved one of the highest scores of wetland biological integrity possible as a result of diverse and sensitive plants now found there. Building on this conservation corridor, adjacent streams and vernal pools have been enhanced, with removals of invasive species and plantings of native wetland plants over the past two years. Native wetland plants successfully establish in the 70 acre restored Dutch Fork Wetland at The Dawes Arboretum near Newark, Ohio. Within the ribbon of stream habitat, pockets of prairie grasslands are managed with prescribed fire and mowing, to reduce woody encroachment and mimic natural landscape forces that once made way for Ohio’s grasslands, with nearly 100 acres collectively protected. Best management practices are being demonstrated through conservation agriculture, showing our visitors that working landscapes can serve the dual purpose of habitat creation and farm production. Prairie buffer plantings surround a central farm field to provide enhanced pollination potential, while adding interest and beauty. Dedicated volunteers reforest The Dawes Arboretum properties, helping to ensure conservation of locally sourced wild-known origin trees. The Arboretum also highlights forest restoration as a key dynamic of the stewardship-based mission. Adaptive management and evaluation are used to help define the best techniques and ensure the most ecologically mindful approaches are followed. In recent years, 4,000 native trees have been planted to ensure future forests remain. Reforestation includes locally sourced trees where available and sustainably harvested wild-known origin plant material, including white oak, bur oak, scarlet oak, black oak and chestnut oak (Q. alba, macrocarpa, coccinea, velutina and montana). Building on this momentum, the Arboretum is now establishing a new native tree nursery – to ensure regionally sourced seeds can be made available for future habitat restoration both on the Arboretum’s grounds – and beyond. Please contact Shana Byrd for more information about The Dawes Arboretum's restoration work. 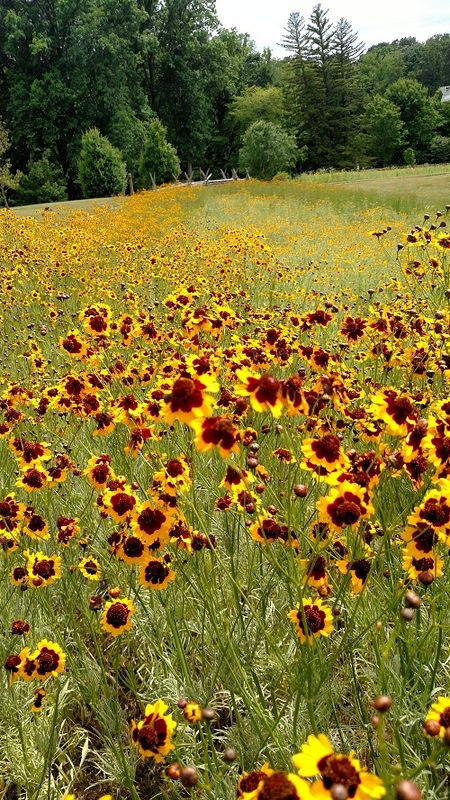 The Dawes Arboretum serves as a safe haven for pollinators, with pockets of prairie scattered throughout the landscape.